Why Chandrababu who played crucial role in Telangana elections is tight-lipped? 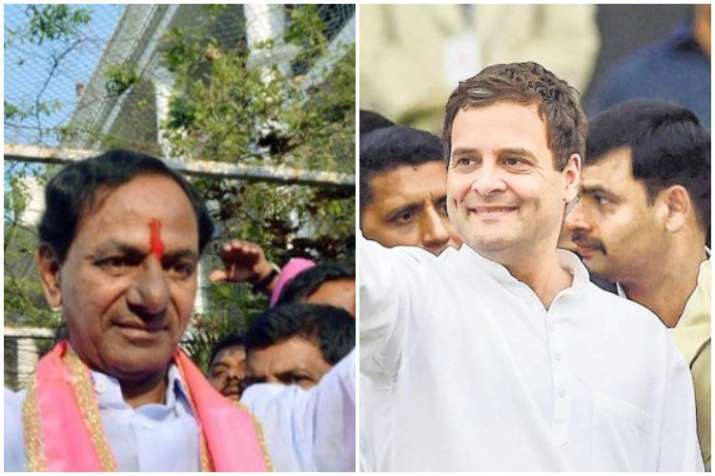 Sri Ramachandra Murthy December 8, 2018 17:00 IST Why Chandrababu who played crucial role in Telangana elections is tight-lipped? Accordingly soon after the Telangana's campaign date i.e 5th Dec, Chandrababu has turned his complete focus onto Andhra Pradesh. Meanwhile on the crucial D day in Telangana, Chandrababu Naidu has interacted with the Union Delegation team from the Centre to whom he has appealed to do justice to the state. Furthermore Naidu has explained the damage incurred to the state due to Cyclone Titli in Srikakulam, Vizianagaram districts besides the drought in Rayalaseema region. Meanwhile Naidu has sought the Centre to release Rs 1401.54 Crore as an immediate relief towards the drought in the state. Further of 1401.54 Crore, the state has sought an input subsidy of Rs 979.83 Crore to farming, Rs 1.85 Crore to horticulture farming, Rs 124.58 Crore to rural drinking water distribution and hygiene, 133.21 Crore to drinking water, RS 162.06 Crore to animal husbandry department. Kadapa, Anantapur, Kurnool, Chittoor, Nellore, Prakasam districts said to be suffering to the core. Moreover Naidu told officials that farmers shouldn't be taken for granted and government shouldn't let to create unrest among farmers. Reportedly Chandrababu told the central government officials that the Centre's help is not all sufficient to the state. Hence Naidu also raised the issue of bifurcation of the state and said he had raised the problems of AP during the bifurcation itself, but no one had foreseen these.